The Society owns a comprehensive library containing an excellent range of DVD’s, Books and Magazines about Bonsai from both Australian and International authors. Members are entitled to borrow four items per month. 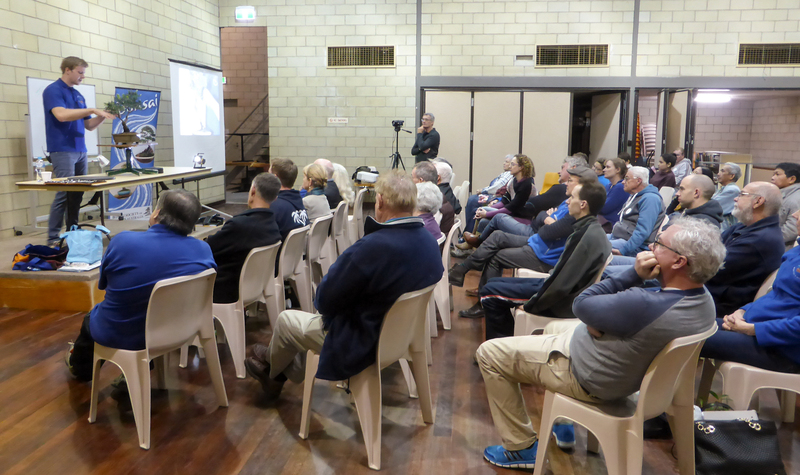 General workshops are held on a monthly basis (members only), usually on the Sunday following the club meeting, as well as during the year at certain meetings. These give members the opportunity to bring along a tree or two to work on and to receive advice from the more experienced members. 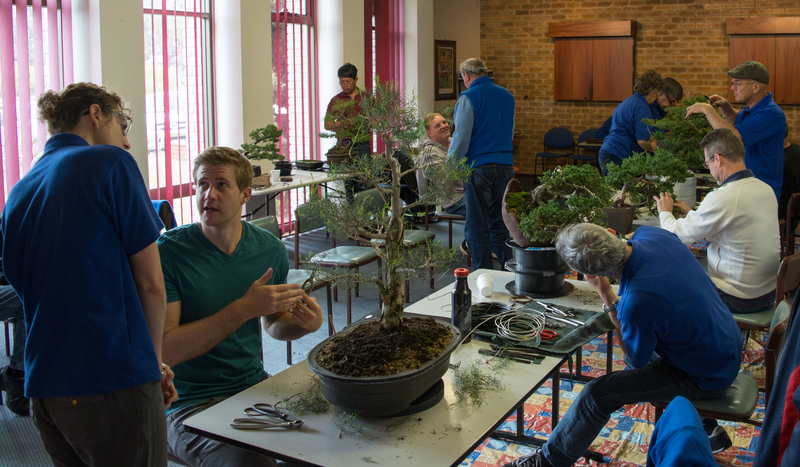 The Society also arranges more formal workshops with visiting interstate or international Bonsai Masters & Demonstrators. 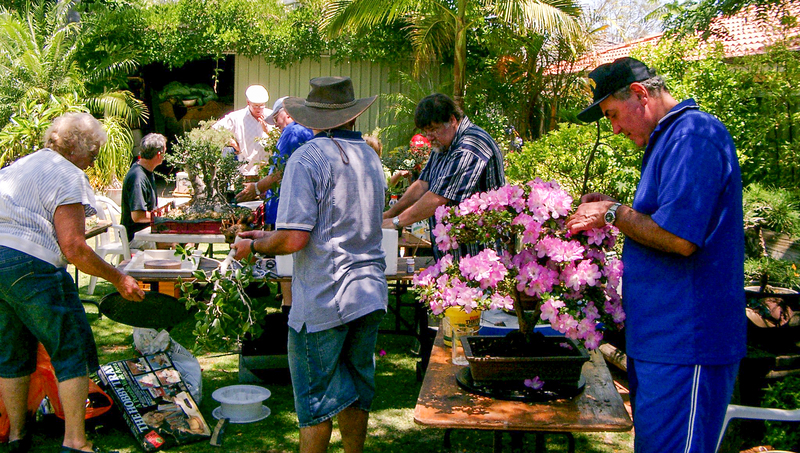 Members are welcome to set up a stall to sell their unwanted Bonsai materials i.e. finished & pre trained trees, pots, tools, wire etc. A fee of 10% applies to these sales and goes towards the club funds. The Society also has an annual Auction of new and used Bonsai materials This is usually made up of unwanted items donated by members which are auctioned to raise funds for bringing international demonstrators to Perth. These auctions are usually a lot of fun and is a good way of obtaining some good Bonsai items at a bargain price.